You are invited to share with us on this web page what you have been doing since graduation. We are looking to have updates from our Theatre Company and Auditorium Staff alumni. Please send in pictures, current activities, college, post college career, marriages, births, or other life events. Please include your year of graduation (so I do not have to look it up). I hope to make this page a place where you can reunite and even "brag" a bit about yourself and your accomplishments. 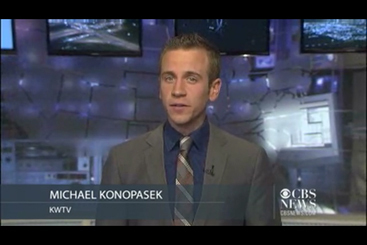 Michael Konopasek is a general assignment reporter at KWTV, the CBS affiliated television station in Oklahoma City. Prior to joining KWTV, Michael worked as a reporter at WPTA-TV/WISE-TV in Fort Wayne. Michael is a graduate of Ball State University. He received a Bachelor of Arts degree in telecommunications and a minor in political science. He worked for the Muncie PBS affiliate, WIPB-TV, as a reporter and host of a long-running, Emmy award-winning television show. He officially began his television career as an intern at ABC7 Chicago, WLS-TV before moving on to report for WTVW-TV in Evansville. Along with two Emmy nominations for his work as a host on WIPB-TV, his reporting has been recognized by the Fox News Channel with a monetary prize. Michael is a member of the National Academy of Television Arts and Sciences and the Radio Television Digital News Association. 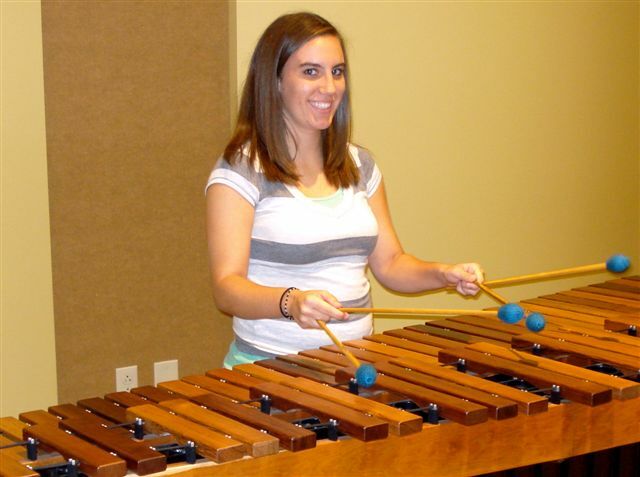 She recently was the percussionist in DePauw's production of the Stephen Schwartz musical, Children of Eden. SUNDAY: The Purdue Philharmonic Orchestra is reserved for the most serious classical musicians at Purdue University. These students have been playing music long before they could drive or date. 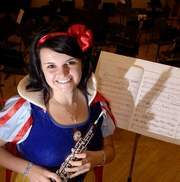 Still, a pops concert every now and then doesn't hurt, and the annual "Creepy Classics" show is a welcome change for oboe player Kathryn Wadas, especially when the "Star Wars" theme is on the program. "I love John Williams," said the Spanish and linguistics sophomore. Wadas was one of the musicians on-stage dressed in costume playing to a theater full of costumed children and their parents in 2008. "It was really different because they're noisy," she said. "You have to make an extra effort to listen to what's going on." With her natural jet-black hair, Wadas will repeat her Snow White costume from last year. Other works on the program include music from "Charlie and the Chocolate Factory," "Ghostbusters" and "Scooby-Doo." The orchestra will be directed by Andrew King. Rachel Mihich is excited to be in the professional world of theatre! She just graduated from Ball State University with a B.A in General Studies; Music and Theatre Tech. 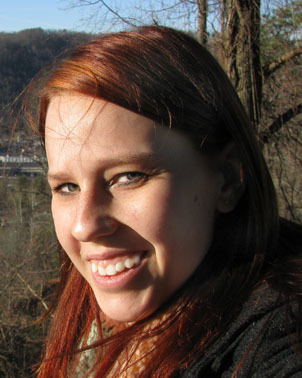 This past summer she worked as Assistant Stage Manager for Ohio Light Opera where she did seven operettas in rep and enjoyed every bit of it! She is currently working as a spot operator for Theatre at the Center for their production of Man of La Mancha, an ASM for Emerald City Theatre on their production of The True Story of the Three Little Pigs, and sound board operator for Alphabet Soup Production’s show, Hogpatch Holler. Rachel wants to thank everyone who she has worked with in the theatre world for giving her a chance. For Munster-reared actress Nicole Pellegrino, the journey she has taken in her chosen profession is as important as the roles she receives. "If you're looking for the big role right now, you're going to miss a lot of the growing and the artistry along the way and a lot the things that make having a career in the arts worthwhile," she said. Currently living on Chicago's North Side, Pellegrino's thespian roots began at Wilbur Wright Middle and Munster High schools. At the latter, she was taken under the wing of Munster Auditorium Director Larry Brechner and theater instructor Renee Kouris, who retired last year. Along with starring in numerous plays and productions, Pellegrino was the first student at Munster to direct a full-length production. "(Directing) was a really big step in figuring out as an artist (aspects such as) 'what do I find entertaining?' or 'what are these people doing (on stage) that I could never have come up with on my own?' " she said. "Having the opportunity to read people and getting to do that early on was really important and really helpful." Brechner's memories of his former student are fond. "She's an extraordinarily wonderful person. She has a really great soul," Brechner said. "She was really talented back then. She could sing, she could act, she could dance, the big three. And she could also direct. She's one that we'll always remember and always be proud of." After graduating from Munster High in 2001, Pellegrino received a bachelor's in theater from Northwestern University in 2005. She also trained at acclaimed Chicagoland institutions such as the Lookingglass Theatre Co., iO Improv and the Actors Gymnasium. Pellegrino has landed roles in productions at Oak Brook's Drury Lane Theatre and Chicago's Victory Gardens Theater and The New Colony Theatre. She also was seen on the big screen with a role in the 2006 independent film, "Death of a President." Pellegrino currently is gracing the stage in "A Domestic Disturbance at Little Fat Charlie's Seventh Birthday Party," a short skit that is part of the Chicago-based arts collective Collaboraction's annual Sketchbook Festival. Sketchbook, which opened Thursday,�is a series of short plays and devised works running at Chicago's Building Stage through May 10. In "Disturbance," Pellegrino said the actors coerce three audience members to perform a loosely scripted story during the skit's seven-minute run. "Sketchbook is a really great chance to get to work on theater that sort of pushes the edge and works on the fringe," she said. "There's a really different energy about this collection of pieces. They're very exciting to work with." Collaboraction's 9th Annual Sketchbook Festival runs through May 10. WHAT: "A Domestic Disturbance at Little Fat Charlie's Seventh Birthday Party" from the Sketchbook Festival; sketch runs at 7 p.m. today, April 25 and May 3; 8 p.m. Thursday and May 1; 9 p.m. May 2 and 9; and 3 p.m. May 10. August 2008 - Niki is a 2005 graduate of Northwestern University in theater and she is active on the local Chicago theater scene. Currently she is a member of Be The Groove, a rhythmic performance ensemble, and during August 2008 is appearing in Embrace The Fire. Niki will appear in new show starting September 2008. Niki appeared in The Snow Queen at the Biograph Theatre, and was a cast member of Skin of Our Teeth, a Jeff Award and Jeff Recommended show by the Back Stage Theatre Company . Niki was a pink dinosaur and a contortionist. Also she appeared in Side Show another Jeff Award and Jeff Recommended show by the Bohemian Theatre Ensemble. Niki produced and directed, Truest Tale of Robin Hood at the Actors Gymnasium in Evanston, Illinois She also teaches theater through the Looking Glass Theater Company and the After School Matters program. Mrs. Piggle-Wiggle"at the Life Line theater near Loyola Univ. She had an extra role on the upcoming Batman motion picture. 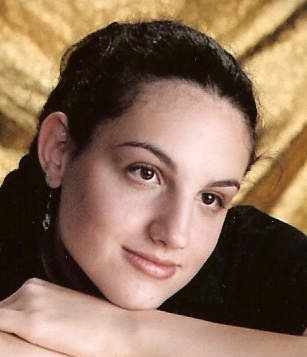 March 2009 - Elizabeth, better known as Stagebaby, graduated from MHS in 2005. She always worked back stage, mainly on stage right, and was the Production Manager her senior year of high school. Elizabeth is currently a student at Indiana University Northwest and is in their Nursing Program with an expected graduation date of May 2010. After graduating from nursing school, Elizabeth plans to work for a year or two in an emergency room in a downtown Chicago hospital. After that she plans to go into travel nursing, with the goal to travel to all 50 states. Eventually Elizabeth wants to go back to school and specialize (nurse anesthesiologist maybe?!) and get her PhD. Although she is busy with school, Elizabeth still enjoys coming back to the aud to visit (it makes it easier since she has younger siblings who carried on the theatre tradition)! She also enjoys traveling, camping, and visiting with friends. Feel free to hit me up for a talk! Email me stagebaby1027@yahoo.com or facebook me! August 2008 - Since graduating from MHS in 2008, I have been accepted into the Purdue Varsity Glee Club, performing regularly around campus. I am majoring in math education. I appeared in MTC's musical productions from 2006-2008 and won the 2008 Best Thespian Equus Award. January 2008 - Matt graduated from Ball State University in Spring 2007, and in January was hired as Highland's Monbeck Auditorium Director (a position which LAB held from 1979-1992). He started January 2008. and is Co-Director for the Highland Theatre Company. December 2007 - Joey Manderino along with MHS alum David Young have created an episodic web comedy series at JoeyandDavid.com, which has spawned a development deal for a television sitcom. The site features comedy shorts and sketches as well as a serial comedy show which follows the life and adventures of Joey and David. The real life Joey and David hail from Munster, Indiana. David graduated from Syracuse University with a degree in Television, Radio and Film. He has worked for the Comedy Central show "Stella" and "The Daily Show with Jon Stewart." 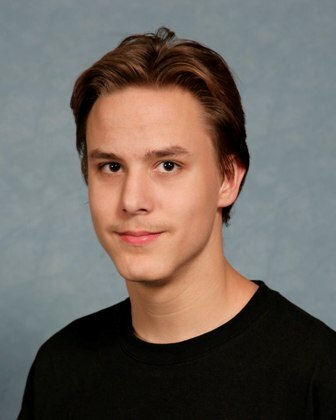 Joey is a senior at NYU's Tisch School of Arts, specifically the Stella Adler studio. They recently performed at the 2007 U.S. HBO Comedy Arts Festival in Aspen and were named as part of Variety's "10 Comics to Watch in 2007." December 2007 -Mary is at Northwestern University in Evanston, IL. She will graduate here in 2011 ( I should hope), and graduated MHS in 2007 as Production Manager in theater. Mary is serving on the executive board of the Rainbow Alliance, and her major is Classics. As a freshman, she has yet to get heavily involved in campus, and so "I have no honors to brag about...but that's okay."